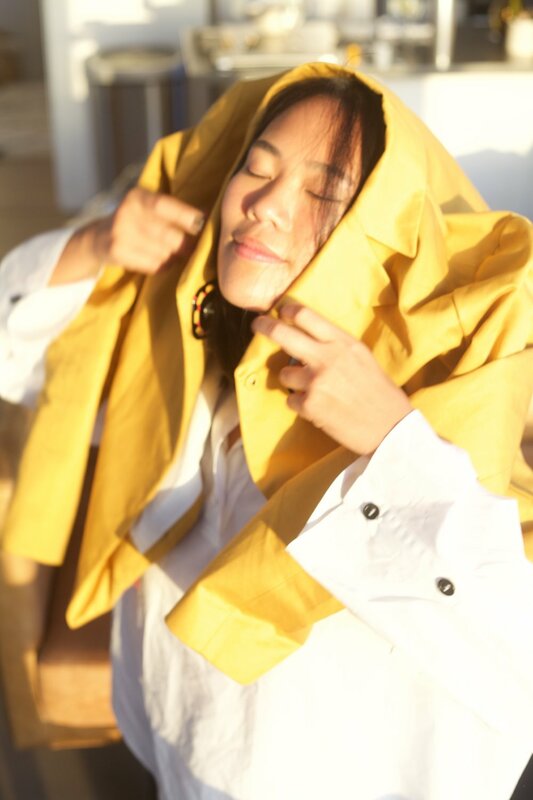 At home with the Stylist and studio director of Kate Young Studio, Beverly Nguyen in New York. Interview and Photography by Sarah Levett. 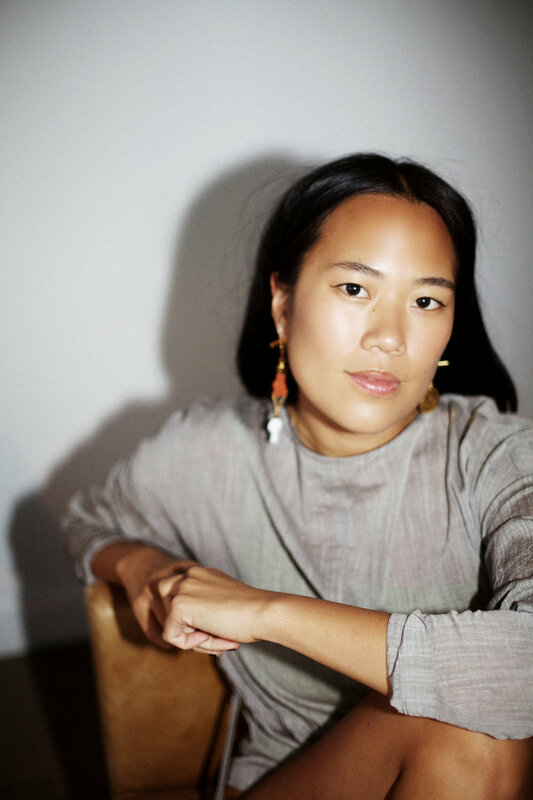 With an innate warmth that registers novel in the context of New York City, stylist Beverly Nguyen shows us how to succeed in fashion and friendship, and the importance of inspiration in everyday life. The New York City skyline sparkles from across the water in Beverly's sunshine–filled North Williamsburg apartment. The continuous sunlight pouring into her space perfectly mirrors her naturally warm, engaging energy, attributable in part to her upbringing in sunny California. A Stylist and Studio Director at Kate Young Studio, Beverly got her start working as a beauty intern at Vogue. She’s also a La Garçonne styling department alumna. Visuals have always been important to her work, so it’s no surprise that Beverly’s apartment showcases inspiration within arm’s reach, with art, film, literature and design artfully scattered throughout her apartment. Below, Beverly discusses her outlook on dress, sensuality, and staying true to herself. What does fashion mean to you right now? Fashion is in conjunction to art, architecture, design, nature, and community. People should be reminded of how it reflects their personal environment, and will make a lasting impression - whether that's good or terrible. How do you approach getting dressed? I find it to be deeply intimate- selecting a dress, a piece of jewelry, lingerie, a scent- I want to feel protected, confident and myself. An outfit can hold so much power, discovery, and be a celebration in my individuality. Currently Doris Ho-Kane from 17.21 Women, Stacey Nishimoto, Sophie Buhai, Zhenya and Tanya Posternak. I’m deeply inspired at the moment by women as proud sexual beings, women who are in control of their desires. Especially these women who create visual artistic representation that is connected to sensuality. Kate Young, who is not only wildly knowledgeable in all things fashion and literature–related, but also profoundly devoted to rituals, recently reminded me that the cure for anything is salt water: sweat, tears or the sea (taken loosely from Danish author Isak Dinesen). I try to practice one of the three daily. I also keep a journal that I write in everyday. Take care of yourself, for yourself.